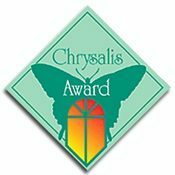 Since 1993, the Chrysalis Awards have honored the finest remodeling projects in the country. Tuckey Restoration’s signature restoration and redevelopment project, the Centenary and Addison Complex in downtown Carlisle, PA, was the 2005 recipient of the Chrysalis Best Commercial Remodel award. 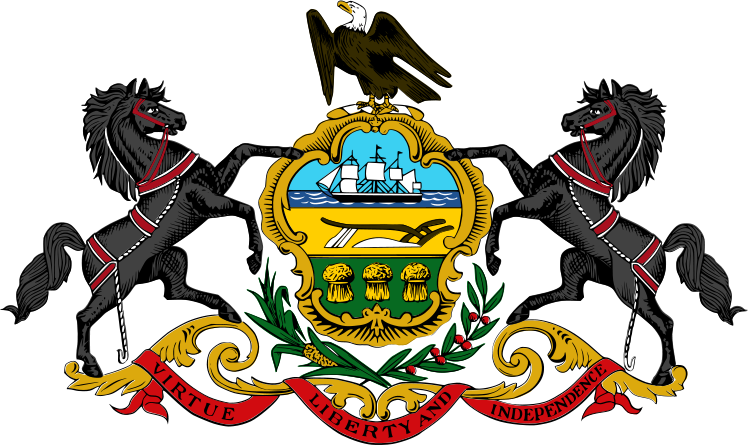 For its work to preserve the Pennsylvania State Capitol Dome Rotunda, Tuckey Restoration received a citation for impeccable workmanship from the Commonwealth of Pennsylvania. 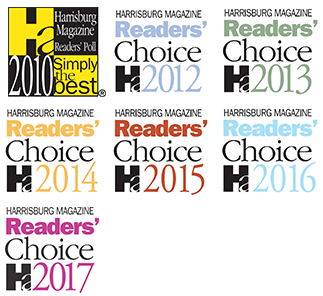 Each year, Harrisburg Magazine polls its readership across the greater Harrisburg metro area to find the ‘best in class’ businesses in various industries. Tuckey Restoration has been recognized as Harrisburg’s premier restoration service provider, while Tuckey Mechanical Services has been recognized as one of Harrisburg’s leading electrician service providers. Thanks for voting! 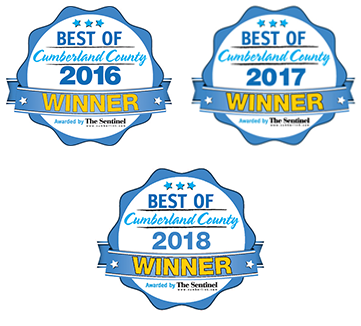 The Carlisle Sentinel routinely polls Cumberland County residents to find “best in class businesses in various categories. The Tuckey Companies have won or placed in several categories, including Contractor, Electricians, and Plumbers. Thanks for your business — and your votes! It means a lot when you get an “A” rating from Angie’s List members — and the Tuckey Companies did just that! IICRC is a non-profit organization that sets standards for the cleaning and restoration industry. Many professionals follow these guidelines when cleaning a commercial or residential property. Tuckey Restoration is IICRC-certified when it comes to Water Damage Restoration services. Disaster Kleenup International (DKI) is North America’s largest disaster restoration contracting organization. As one of only a two DKI-affiliated organizations serving South Central PA, Tuckey Restoration works with your insurance company to help get your home or office back to normal after fire, wind, water, storm, or mold damage has occurred. Since 1904, Bryant has built a reputation for going above and beyond to give you the home comfort you deserve. To Bryant, it’s not just about heating and cooling, but providing products you can rely on and service you can trust. Tuckey Mechanical Services is a proud Bryant dealer serving South Central PA.
ClimateMaster, Inc. is the world’s largest and most progressive manufacturer of American Made residential geothermal heating and cooling systems. Tuckey Mechanical Services proudly installs and services ClimateMaster geothermal HVAC systems, helping our neighbors across South Central PA save energy and save money at the same time. RIA is one of America’s premier restoration industry associations. As an RIA member, Tuckey Restoration has access to world-class resources that enable us to provide top-notch quality service to our customers right here in South Central PA. The Tuckey Companies are headquartered in Carlisle, PA — it’s our home! As members of the local Chamber of Commerce, we partner with local businesses of all types and sizes to improve our neighborhoods across the greater Carlisle area. ABC Keystone members are involved in commercial, industrial, and institutional free enterprise construction throughout south central Pennsylvania. As a longtime ABC member, Tuckey supports free enterprise, principled competition, industry education, workforce development, and business development with integrity. ENERGY STAR is a U.S. Environmental Protection Agency (EPA) voluntary program that helps businesses and individuals save money and protect our climate through superior energy efficiency. The Tuckey Companies are proud to offer Energy Star-rated equipment, and assist customers with the task of maximizing energy efficiency while minimizing total cost of operation.